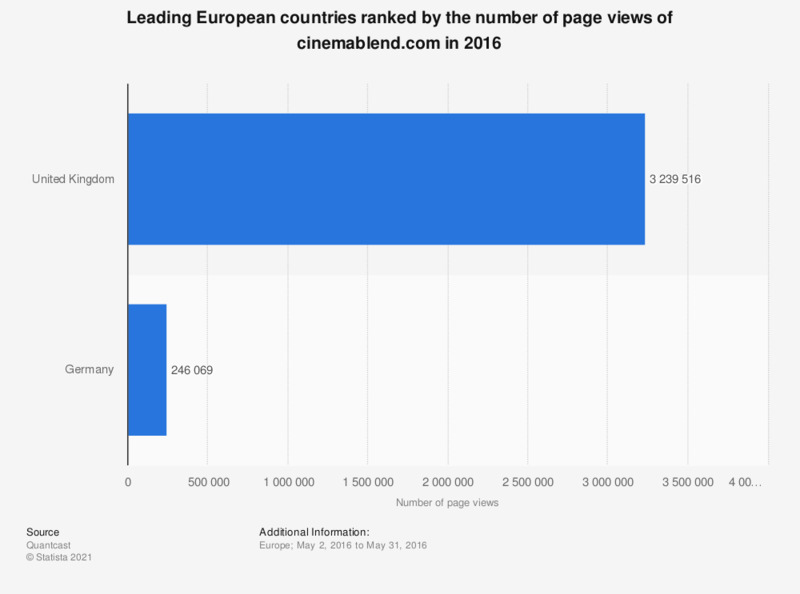 This statistic displays the leading European countries ranked by the number of page views of cinemablend.com in 2016. In 2016, the total page views of cinemablend.com from the United Kingdom (UK) amounted to approximately 3.2 million. The source adds the following information: "Quantcast directly measures site traffic through the implementation of the Quantcast asynchronous tag on each web site."